Perched on the edge of the harbour in Aarhus, Dorte Mandrup Arkitekter has injected architectural flair into the area with a dramatic viewing tower and landmark. 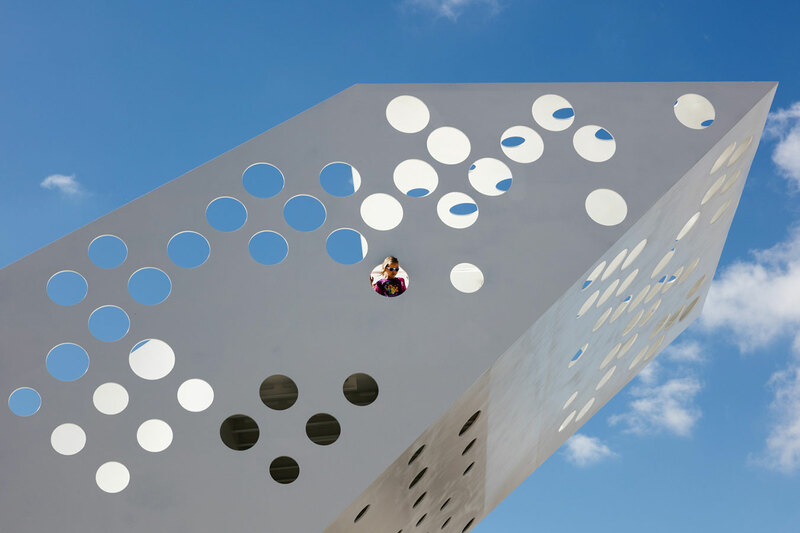 The Salling Tower features perforated facades of white steel that are folded in a geometric style. As visitors approach they are met with an impressive view of the structure, which is just the beginning of the experience. Traveling up through the stairs to reach the first platform at 4.3m high and the visitor is hovering above the water. Continue on up the broad staircase to reach the upper level and visitors will experience 360 degree views of the harbour and bay. Upon reaching the upper platform at 7.5m above quay level, visitors can enjoy panoramic views of their surrounds. The Salling Funds - who donated the tower as a gift to the city - wanted it to be available to all, so a lift was implemented to ensure anyone of any capability would be able to enjoy the same visitor experience and sea views. 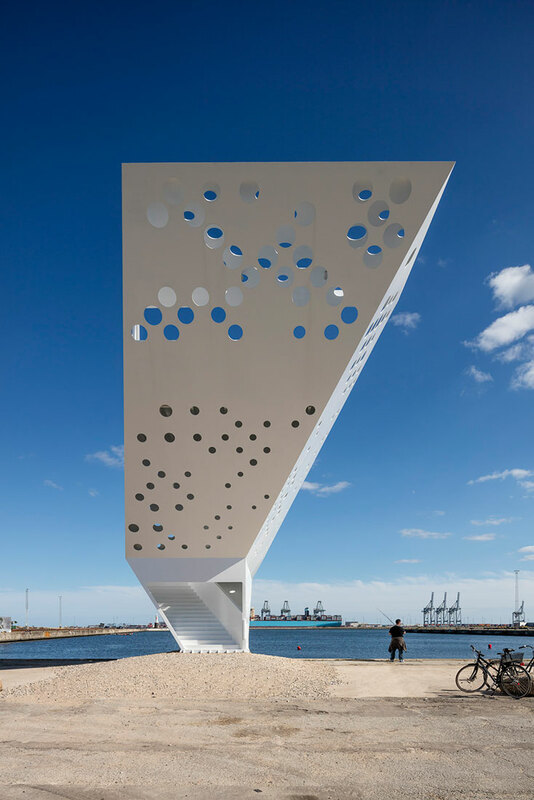 The design not only works functionally as a viewing tower but references the maritime environment as a tribute to the historic trading port. Peek holes and a very large white painted steel-plate edifice stimulate the feeling of being at sea. At night LED backlighting lights up the interior, giving the impression of masts from neighbouring ships.